Hannah is from Atlanta, Georgia, and now lives in Denver, Colorado. 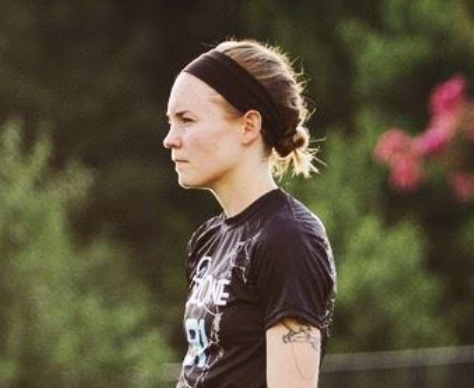 She started playing ultimate at the University of Georgia, where she played for five years and was a Top 5 Callahan nominee. She played on (and captained) the All-Star Ultimate Tour in 2015. She also played for Atlanta Ozone from 2013-2016, and was on the Molly Brown roster (but injured) in 2017 & 2018. Finishing my ACL rehab this fall will mark four years since I healthily competed in ultimate, equating to over half of my frisbee career.